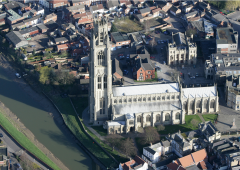 Since 1309 Boston Stump has been an iconic la ndmark on the skyline of Lincolnshire, attracting the affection of local people and the admiration of visitors. It enjoys a reputation for high quality musical, cultural and worship events. 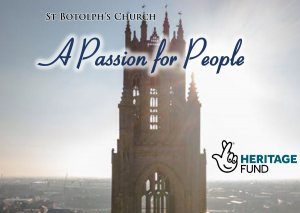 The Parish of Boston received a confirmed National Lottery grant of £1,166,700 for its ‘A Passion for People’ heritage project in July 2018. 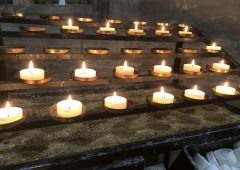 The total cost of the project, with money raised by the Parish of Boston, will be £2.7million. 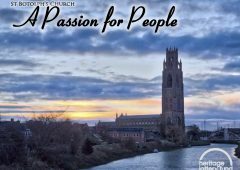 Made possible by money raised by National Lottery players, ‘A Passion for the People’ is an ambitious project to transform one of this country’s most architecturally iconic churches into a centre of cultural learning, heritage interpretation, all-age people development, musical excellence and community integration. The project will increase the number of visitors, engage tourists, and promote Boston’s heritage to an overseas market. Supported through the National Lottery Heritage Fund, the project includes the repair of the West Face of the tower and tower roof, urgent repair and development of our pews, installation of underfloor heating and the construction of draft proof, flood resistant and accessible porches on the North and South doors. An educational interpretation and activity scheme will also be created, telling the stories of the people of town and church. Sign up to get the latest news straight to your inbox.